For many people who grew up in the 70s and 80s, thoughts of the dentist aren’t always positive. Many people associate a dentist appointment with pain and anxiety. Fortunately, dental technology has made great strides over the years to improve a patient’s experience. Patients are now able to achieve a healthy, beautiful smile with less pain and anxiety, and fewer dentist appointments. Unlike traditional x-rays of the past that had to be physically stored and shared with labs and specialists, digital x-rays have helped streamline the dental care process. Digital x-rays use lower levels of radiation and capture clearer images. Dentists and technicians can view x-ray images instantly on computer monitors. They give dentists the ability to store the digital files indefinitely to compare from appointment to appointment and ensure patients receive the earliest diagnosis for oral health concerns and the most accurate treatment planning. More accurate x-rays mean more accurate diagnoses, better oral health, and fewer dentist appointments overall. Dental fears and anxieties often prevent patients from getting routine and necessary dental treatments, which can only make dental issues worse. Many dentists offer sedation dentistry to ensure a patient’s comfort during dental procedures. There are three main types of dental sedation used: nitrous oxide (laughing gas), oral sedation, and IV sedation. 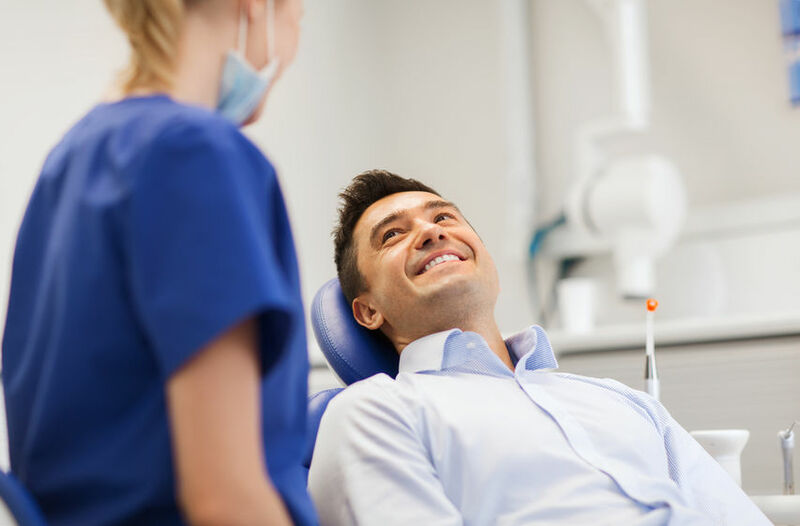 Dental sedation methods can alter a patient’s perception of pain and help patients feel comfortable and relaxed during treatment, which can help speed the overall treatment process. A dental implant is used to replace one or more missing teeth. 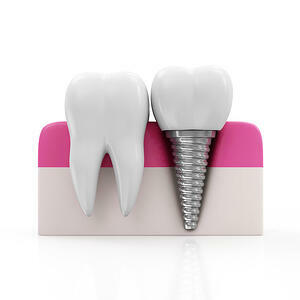 Think of a dental implant as an artificial tooth root, supporting the replacement tooth. Often made of titanium, the dental implant literally fuses with bone, leaving patients with a replacement tooth that is nearly as strong and long-lasting as a natural tooth. They can even be used to support a dental bridge or dentures. Often, the entire dental implant procedure can be completed in one appointment, and when the implant has healed, it requires no special care. Missing teeth that are not replaced can cause bone atrophy, a change in bite, and leave the surrounding teeth more susceptible to periodontal disease. However, dental implants are a great way to lower these risks. Dental implants have revolutionized the way dentists are able to replace missing teeth. Dental crowns, also called caps, are placed over teeth to protect them from further damage or decay and to restore normal function. Traditionally, getting a dental crown has been a time-consuming process that required multiple trips to the dentist over several weeks. However, new technologies, such as the state-of-the-art CEREC system allows dentists to complete the entire restoration process in-house, delivering flawless, healthy smiles in just one appointment. Laser dentistry is an innovative type of dental care that is changing the way patients view dental treatments. It is a minimally invasive option that is virtually painless and typically does not require anesthesia or sutures. 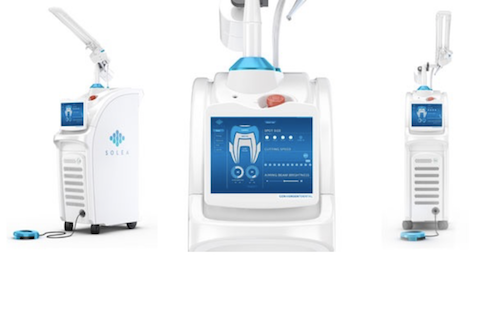 The revolutionary Solea Laser like the one we use at White River Dental, has two lasers that can be used for treatments on soft tissue, such as the gums, and hard tissue, such as teeth. With laser dentistry, there is often very little bleeding and there are no drilling sounds that are often negatively associated with painful dental treatments. It allows for greater precision, reduces the risk of infection, and is ideal for children and those with dental anxiety. More than ever before, technology is making it possible for patients to get the dental treatments they need without pain, fear, or anxiety. At White River Dental, we are committed to your oral health and are dedicated to helping you achieve a healthy, beautiful smile. If you have been avoiding the dental care you need, give us a call today! We see patients like you every day and understand your concerns. Let us show you how dentistry has changed, and how we can help you make a change too! 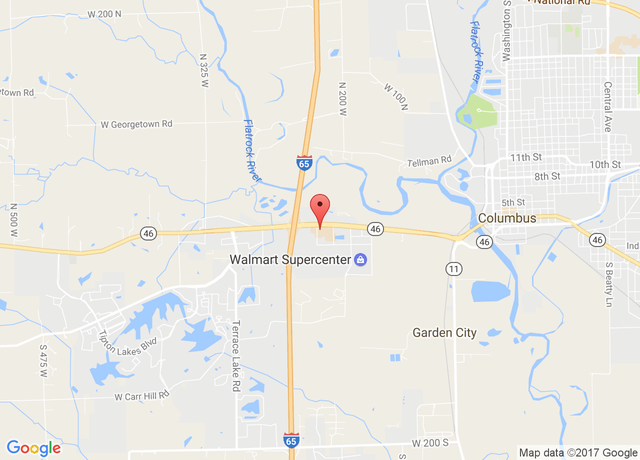 Connect with us on Facebook, submit the contact form at the bottom of this page, or give us a call today at (812)378-2041.